The Mapping and GIS Laboratory at the Ohio State University (OSU) are developing new lunar navigation methods and to enhance lunar astronaut orientation capability. A six-member research team conducted an analog field test at the Moses Lake Sand Dunes, a desert area that represents a moon-like environment in June 2009. The goal of the experiments at Moses Lake was to test an innovative astronaut navigation system developed by OSU. This multiple sensor integration system is comprised of inertial navigation, vision sensors and step sensors with an integrated forearm display. Significant data and real-world experience were gained. Moses Lake is an official NASA Lunar Rover Vehicle training site representing an environment and ground conditions very similar to those on the moon surface. 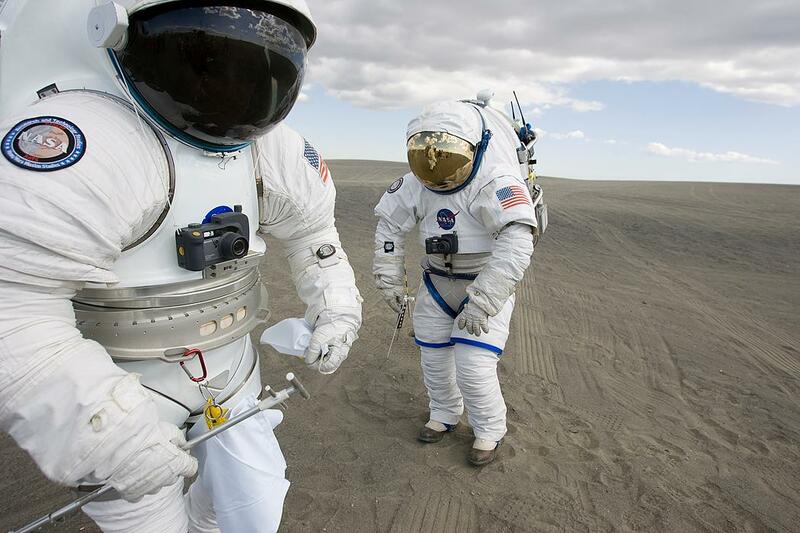 On the Figure 1 below you can see astronauts testing the new spacesuit at Moses Lake in June, 2008. In figure 2, a graduate research associate is testing the astronaut navigation system on the Sand Dunes at Moses Lake, WA. 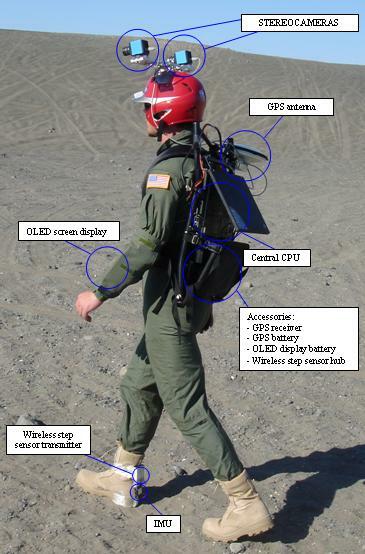 Figure 2: Graduate research associate is testing the astronaut navigation system on the Sand Dunes at Moses Lake, WA.